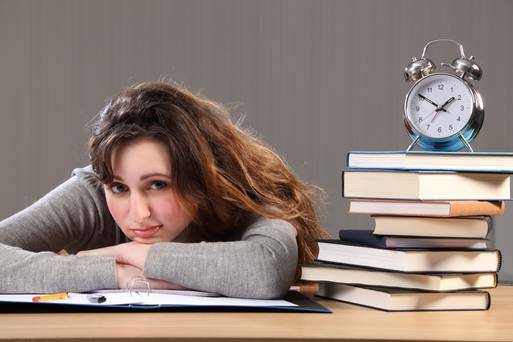 How do you know your child needs math assignment help? Some of the more obvious signs are falling math grades on your child’s report card or on individual math assignments. A change in attitude toward math can also indicate difficulties. If your child loved math last year, but suddenly dislikes it, he or she could be experiencing difficulty mastering new math concepts. Math difficulties can arise at any stage of the learning process. Working with a math tutor, including an online math tutor, should be explored as soon as you realize your child is having difficulties. Throughout school, math lessons build on what was taught before, and failing to master a single concept can result in multiple math difficulties later on. Once you make the decision to work with an online math tutor, how can you be confident you have found the right one for your child? Here are 7 tips for finding the online math tutor that will benefit your child most. Even if your child is in elementary school, it’s worthwhile to look for an online math tutor who specializes in math. While there are general tutors who can offer math assignment help, a tutor specializing in math is more likely to have the depth of knowledge necessary to understand the specific concepts that hold children back and how to address them. The great thing about the internet is it never closes, and you can interact with someone on the other side of the world if you want. That said, it’s important to find a tutor who will be available during the hours your child works on math. If you’re considering an online math tutor from several time zones away, ensure his or her schedule meshes with your child’s before committing. Math assignment help should be interactive. 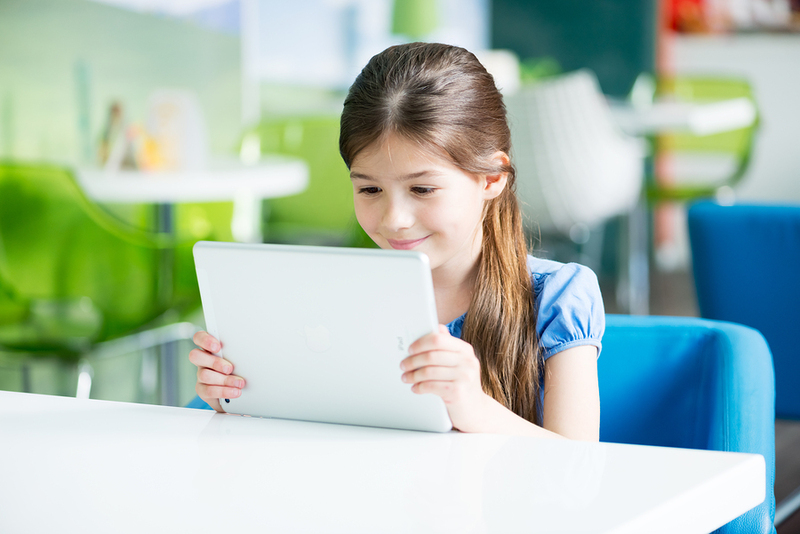 A good online tutor doesn’t simply lecture or present concepts, but interacts with students: “What do you think the first step should be?” Your child’s tutor should be able to develop a working rapport with your child, striving to understand his or her questions and difficulties so as to address them most effectively. Sometimes a child needs to be shown how or why what might seem to be a solution doesn’t actually work. A great online math tutor understands how something might intuitively look right, yet not be. There may be occasions when a tutor needs to go through the wrong procedure with your child to show where and why problems occur. Online math tutors should have easy access to helpful visual aids. Diagrams, pictures, animations, and other visual aids can be tremendously helpful. For example, a child having difficulty with fractions may have an easier time if concepts are demonstrated through something he is familiar with, like LEGO. Try to choose a tutor who knows where to look online to find GIFs and other visual aids that help explain mathematical concepts. Some children, for example, have no trouble applying concepts like basic arithmetic operations, but have trouble knowing which one to apply in word problems. Other children may not be motivated to perform an arithmetic operation without some sort of context (like a story problem) in which it makes sense. 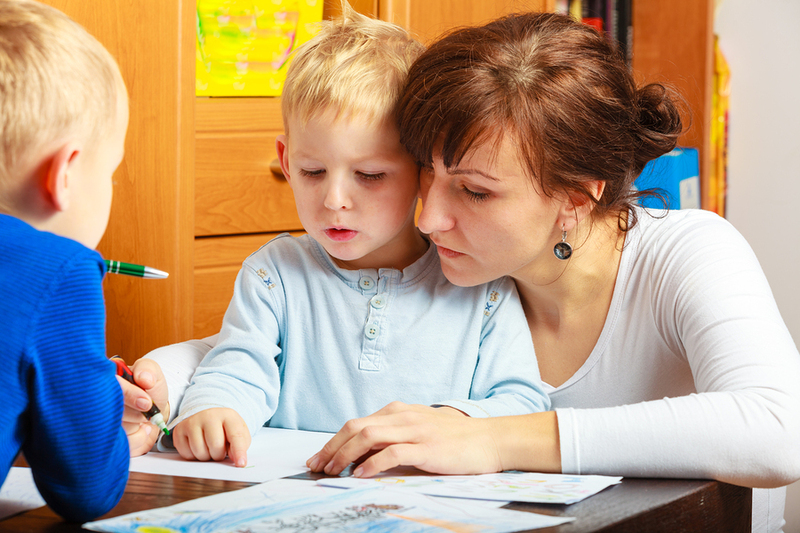 Your online math tutor should take time to learn how your child learns. 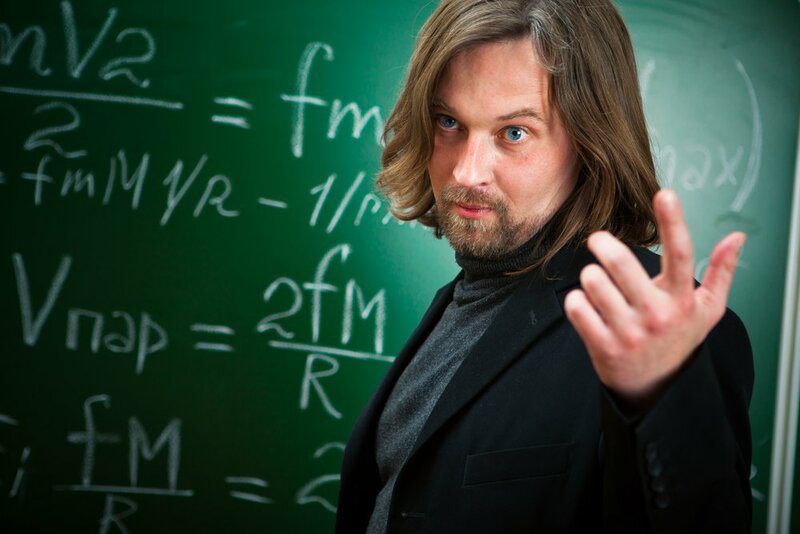 You don’t want an online math tutor who is resistant to feedback. After all, the goal is to help your child master important concepts. Knowing what works well and what doesn’t is important for an online math tutor in order to provide the best possible service. Discuss feedback before hiring an online math tutor to ensure the one you choose is open to suggestions and discussion. Hiring an online math tutor is an option many parents didn’t have when they were learning mathematics, and it can make a world of difference in your child’s ability to master mathematical concepts and keep up with what is expected of him or her. Know what to look for in an online math tutor, and you can be confident that when your child needs math assignment help, he or she will have access to someone who understands math, understands your child, and is willing to work with your child’s learning style. Are you interested in hiring an online math tutor for your child? Tutor Pace can help, and we encourage you to get in touch with us at your convenience. Math is a combination of many branches such as Algebra, Geometry and Calculus, but math does not quite stop right there, we have levels to each branch of math such as beginners and advanced. The advanced level math usually needs more attention and practice to master it. If you are confident with the basics and know all your formulas then the advanced level math is the next step to beginner math topics. Today let us look at different advanced level math questions in areas such as Algebra, Geometry and Calculus. Find the value for x in equation 4 (2x – 3) = 5 (2x – 8)? Here we have x on both sides of the equation, bring all like terms to the same side of the equation and solve for x. As show above the equation reduces to 2x = 28. Divide by 2 on both sides of the given equation. This gives x = 14. Solve the given inequality 3 (2 x + 8) > 24? The advanced level algebra consists of many other subtopics such as quadratic equations, solving two variable equations using substitution and elimination methods and many more. The key to success for solving all such questions is practice and knowing the basics of Algebra. After algebra let us look into geometry and some sample question. Geometry is one of the favorite topic for all the students especially when you are in the elementary school, it could be because of learning different kinds of shapes. But geometry does not quite stop there, as you go to the higher grades you need to tackle the advanced level. Let us look at two examples on how the basics of geometry can be helpful to solve the advanced level geometry question. The given diagram is a square inscribed in a rectangle. Let us recall the formula for the area of the rectangle = length x width. Using the formula, the area of the rectangle = 10 x 8 = 80 square inches. Now the area of the square = side x side. Using the formula, the area of the inner square = 4inches x 4inches = 16 square inches. The area between the two geometric figures is obtained by the difference in the areas. 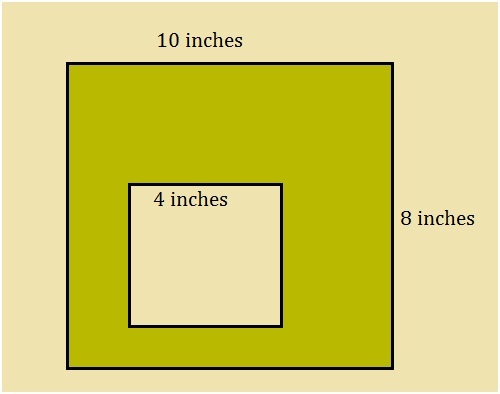 Hence, the area = (80 – 16) square inches = 64 square inches. Did you follow the solution? Great! The next question you will see how the sum of the angles can be used to find the missing angles of the triangle. The sum of all interior angles of a triangle = 180 degrees. This fact is very commonly used in solving many geometrical questions. Knowing the angle measures helps you classify the different kinds of triangles such as equilateral, scalene, and isosceles. 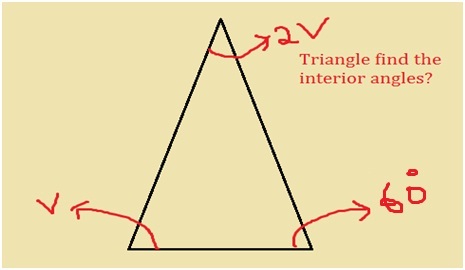 In the given diagram, find the value of v and the angles of the triangle. Classify the triangle? Sum of all the angles of a triangle = 180 degrees. Adding all the angles of the triangle v + 2v + 60 = 180. This gives 3v + 60 = 180. 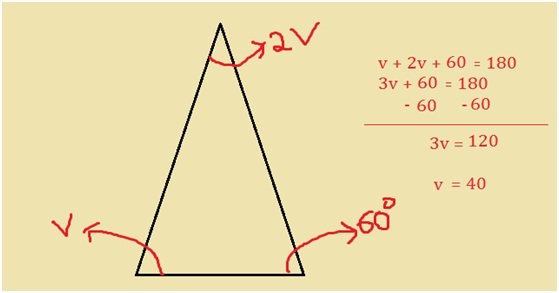 The angles of the triangle are v = 40 degrees, 2v = 2 (40) = 80 degrees and the third angle is 60 degrees. Therefore, the angles of the triangle are 40, 60 and 80 degrees. Since all the angles of the triangle are different. The given triangle is a scalene triangle. The next branch of mathematics which is very important and plays a major role in high school and college level math is calculus. The students are expected to know pre-calculus before stepping into calculus or advanced calculus. Calculus starts off form the basics of functions, domain, range and steps into differentiation and integration, which are the advanced level topics. Find the derivative to the function f (x) = 3x3 – 5x2 + 10? The answer f’(x) = 9x2-10x. 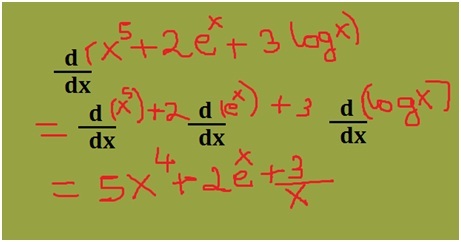 Taking a step forward, let us solve a derivative question involving logarithms and exponential functions. Find the derivative of the function f(x) = x5 + 2ex + 3log x? Hence the solution f’(x) = 5x4 + 2ex + 3/x. Free Online Math tutor is the easiest way to get solutions for difficult Math problems. Tutor Pace provides effective Math tutoring and assignment help which are personalized and customized to meet student demands in one to one sessions. Did you ever hear about Vedic Math and wonder what exactly is it? Vedic Math is derived from the ancient Indian scriptures called as the Vedas. The Vedic math is very ancient and it has many interesting tricks and facts which can help improve a student’s ability to solve the given question. We will look through some Vedic math secrets that you can apply in your math problem solving. This should make you not only solve the questions faster but also very efficiently. 1. Squaring of a number ending in 5. Find the value of 352? We get the same answer! Take a look at one more example to master the skill. Find the value of 952? This can be applied to three digit numbers as well. But the point to note is the number should end in digit 5. Find the value of 2052? The answer for the three digit multiplication for 205 x 205 = 42025. Check the answer in the longer method as well you will get the same value. 2. Square of numbers between 30 to 70? 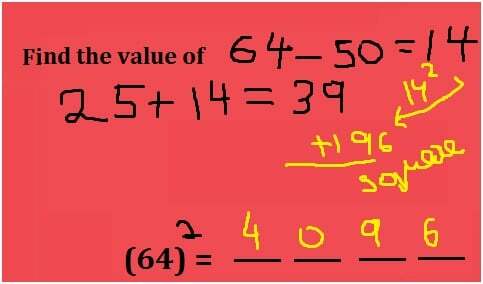 In this method we can find the square of the number between 30 and 70 within no time. Usually it takes us the regular multiplication method or the calculator to find the square of a number. Imagine, if you can solve it in the mind in a fraction of few seconds. Find the value of (51)2? Step 1: Find the difference between the given number and 50. You get 51 – 50 = 1. Step 2: Now add the difference to 25, this gives 25 + 1 = 26. (These are the first two digits.) Step 3: The last two digits of the square will be equal to the square of the difference. Find the value of (64)2? Step 2: Now add the number 14 to 25, this gives 25 + 14 = 39. Step 3: Calculate the square of the difference 142 = 196. For the last step follow the diagram. Find the value of (44)2? 3. Subtracting any given number from 1000. Find the value of 1000 – 356? Hence 1000 – 356 = 754. Once you get a hold of this method you will be able to subtract quickly in your mind. 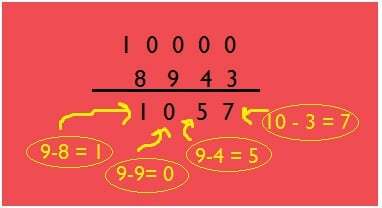 This can also be applied to numbers when subtracted from 10 or multiples of 10, such as 100, 1000. 10000 and so on. Find the value of 10000 – 8943? Hence the answer to 10000 – 8943 = 1057. 4. Finding the cube root of a given number. The number 2744 has a cube root. 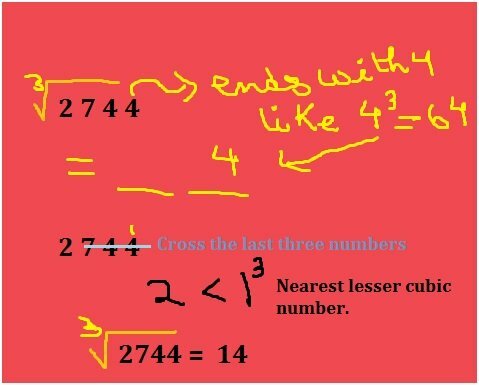 Find the cube root 2744? 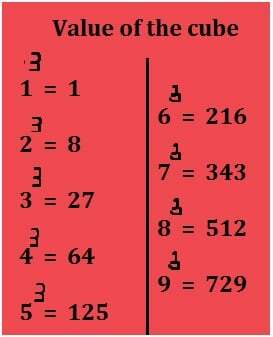 The number 593919 is a cube of a number. Find the cube root of the number? 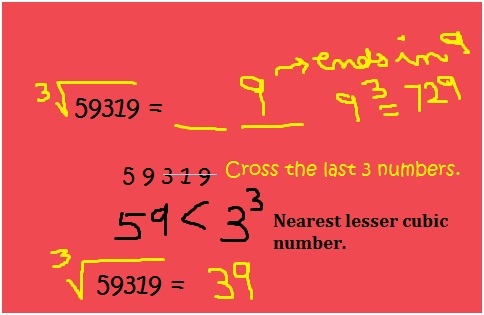 As observed in the diagram above after crossing the last three numbers 59 is closest to 27 which is 33. Hence, the cubic root is 39. 5. Division of numbers made simple. Find the value of 72 divided by 5? Here the number 72 is divided by 5. Observe the number 5 can be written as 5 x 2 = 10. Find the value of 64 divided by 25? Here the number 64 is divided by 25. Observe the number 25 can be written as 25 x 4 = 100. Hence the value for 64/25 = 2.56. Find the value of 567 divided by 20? 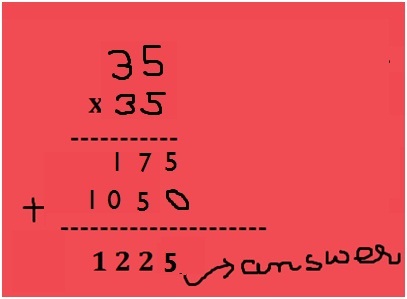 Here as well take a look at the divisor which can be written as 20 x 5 = 100. The next step is to multiply the numerator and denominator of 567/20 by 5. Hence the solution for 567/20 = 28.35. Did you observe math calculations which usually take many steps to solve can be calculated in the fractions of few seconds? Well there are many more math secrets which can make using the calculator optional. So keep learning and engage yourself in discovering many more tricks. All the Best! Today we will be looking at the basic concepts and properties of linear algebra. Linear algebra can also be called as vector algebra, as it is the study of vector spaces. You may now wonder what exactly vectors are. Well, quantities are classified into two types such as scalars and vectors. A scalar quantity is a quantity which has only magnitude and no direction. A quantity which has both magnitude and direction is called as a vector. Let us look at some definitions and properties of vectors which will make the study of the vector spaces much simpler. Position Vector: The position vector locates any given point in the three dimensional rectangular coordinate system. Let us recollect that the three dimensional rectangular coordinate plane has x, y and z axes. The origin point for such coordinate system is given by (0,0,0). The position vector or any point P in space is given by OP (x, y, z). The magnitude of the vector |OP| can be given by √(x2 + y2 + z2). So, we have |OP| = √(x2 + y2 + z2). Let us take a look at one of such example question. Question: What is the position vector of the point (3, 4, 5). Find the magnitude of the given position vector? Let us now take a look at some basic types of vector spaces. Null vector: A null vector is also called as the zero vector. Remember the starting point of the vector is called the initial point and the ending point is called as the terminal point. The vector for which both the initial point and terminal point are the same is called as the zero vector. Like the name suggests the magnitude of a zero vector is always equal to zero. The null vectors are written as PP, AA and so on. Unit Vector: The magnitude of a vector when equal to 1 is called the unit vector. Need an example? Here you go! Find the magnitude of the vector AB given by (0, 1, 0). Equal vector: Like the name suggests the equal vectors are the vectors which are the same in magnitude and direction. If AB and CD are two equal vectors, then they are given by AB = CD. Negative Vector: Well again like the name suggests the vectors which have the same magnitude and are opposite in the direction are called the negative vectors. If OP is a vector than PO is called the negative vector. This can be represented as OP = – PO. Here AB = – BA. So BA is the negative vector for vector AB. Co-initial Vectors: Any given two vectors are called as co-initial vectors if both the given vectors have the same initial point. For example OA and OB are two co-initial vectors. Collinear Vectors: Any two given vectors are called collinear vectors when both vectors are parallel to the same line. In the above diagram AB and CD are parallel to the same line, hence the two vectors are collinear to each other. In the above diagram E is the initial point for the vector EF and terminal point for vector DF. So to obtain the resultant we start from the initial point of one vector (DE) to the terminal point of another vector (EF). Hence the resultant of the vectors is DF. This can be expressed as DF (resultant vector) = DE + EF. Now that you are aware of the vector additions let us look at the properties of the vector space addition. Commutative Property: Vector addition is commutative. 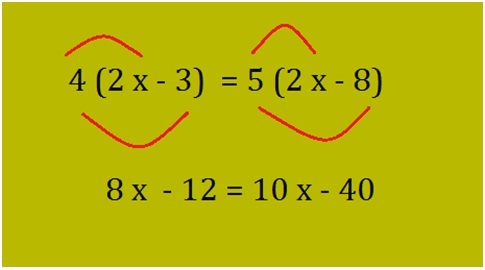 Consider two vectors a and b, they can be expressed as: Associative property: Vector addition is also associative. Like associative property for numbers we need 3 vectors to express the associative property for vectors. The property can be written as follows: Scalar Multiplication: Now let us take a quick look at multiplying a vector by a scalar quantity. Let there be a scalar number or a constant k. Take a vector a. Now we can obtain a new vector by multiply with the constant k. This is expressed as ka, always remember that the vector obtained after the scalar multiplication is collinear to the given vector. So ka is collinear to vector a. The vector has positive of negative direction depending on the sign of k. Here are some examples to give better understanding: In the above diagram there is vector which is then multiplied with a scalar 2. Here 2 is a positive number so the direction of the vector 2a is the same but the magnitude of vector is twice the initial vector a. In the above diagram the vector is multiplied by the scalar number -3. Since the scalar is a negative number, the direction of the vector is the reverse to the direction of vector a. The magnitude of the vector will be thrice the magnitude of vector a. Do you now feel you have a better idea of the basics of the vector spaces? Well guess what this is just the beginning and there is lot more to learn and discover in linear algebra. So do not forget, keep practicing!